Women's Ice Hockey Organization (WIHO) and Hong Kong Amateur Hockey Club (HKAHC) are happy to announce an "ELITE TRAINING & DEVELOPMENT PROGRAM" led by Coach Christian YNGVE. Coach Christian is an accomplished professional Coach from Sweden with an Olympic Bronze Medal under his belt. More recently, he came from Coaching Spain's Naitonal Team to achieve Gold and advancing them to the next division. This Elite Training & Development Program will be catered to the higher calibre Female Players in Hong Kong. Players joining this Elite Program will be expected to commit to the program as well as to help the youth development program in Hong Kong and be part of Hong Kong Women's Ice Hockey League (HKWIHL) which is the training ground and part of a feeder system for Hong Kong. It is only with HKWIHL that Hong Kong is eligible to participate in the IIHF World Championship competition. Coach Christian will also oversee and advise HKWIHL and in particular players who have joined the Elite Training & Development Program. Hong Kong Women’s Ice Hockey League (HKWIHL) 2018 - 2019 will begin its sixth hockey season soon. This league caters to all female players in Hong Kong and sets the ground work for consistent player development. In addition to the games there will be monthly practices which are structured and executed by coaches. 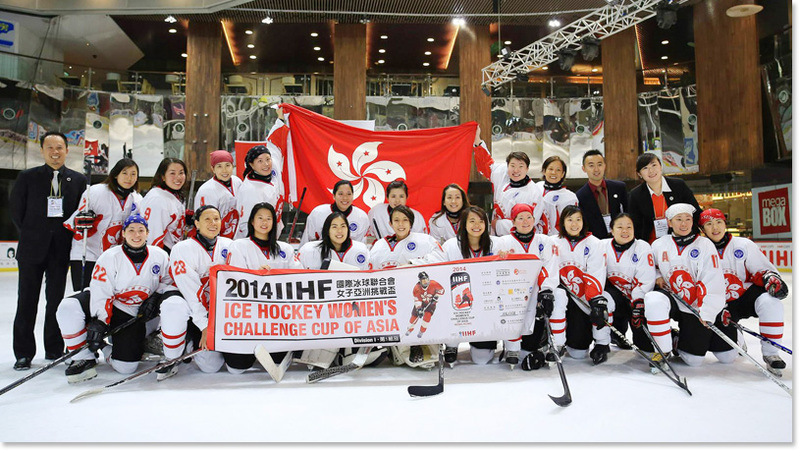 HKWIHL aims at being a training ground and part of a feeder system for the Hong Kong Women’s National Ice Hockey Team (HKWNIHT) which is now eligible for IIHF World Championship competition. 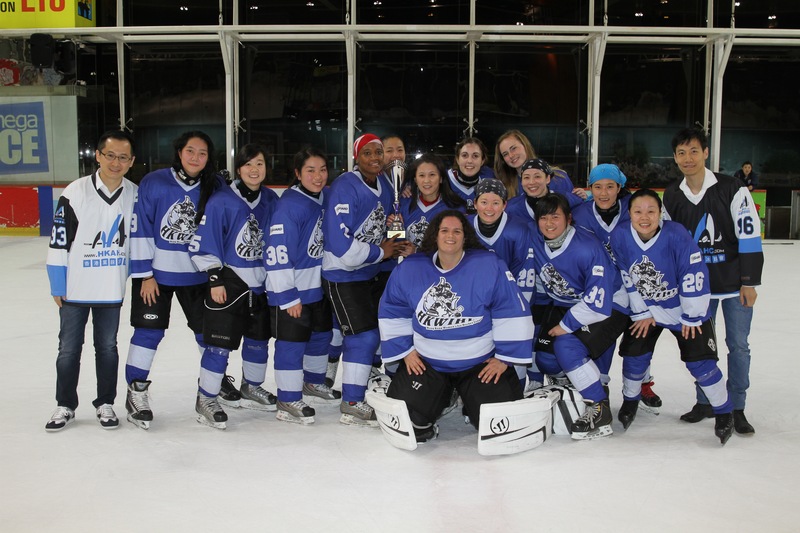 HKWIHL is organized by an experienced team which includes, Women’s Ice Hockey Organization (WIHO) and Hong Kong Amateur Hockey Club (HKAHC) and sanctioned by Hong Kong Ice Hockey Association (HKIHA). On 11th April 2014, it was a battle between Team CHICCO versus Team GAGGIA in the finals of Hong Kong's first ever women’s league played under international rules. Team CHICCO wins gold in the Finals, beating Team GAGGIA 6-0 who was missing their top scoring leader, Estelle IP due to a school trip. Goals were scored by Team CHICCO players: Ophelia KWOK with 3 assists, Shan La LAU with 2 goals, Tracy WONG and Adrienne LI with 1 goal 1 assist each, Vivian Low and Vivien ADRIAN scoring 1 goal each, and Nero LAM and Annette KERR with 1 assist each. 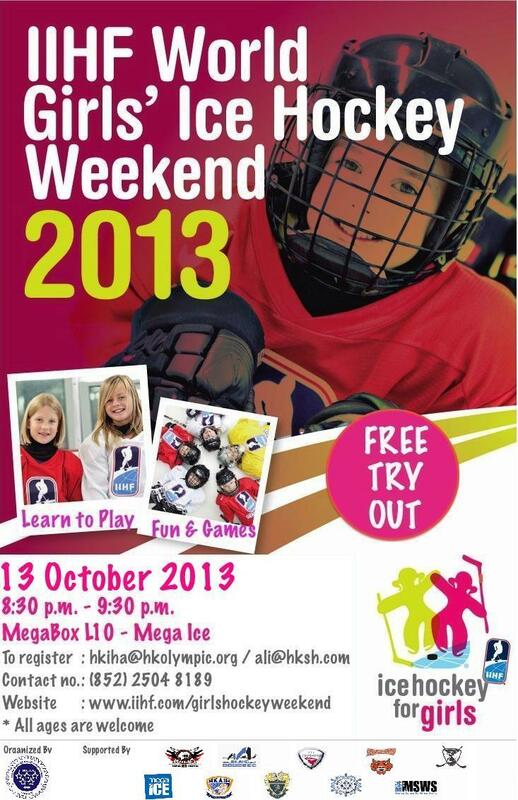 IIHF World Girls' ice hockey weekend took place on Sunday, 13th Ocober 2013. Many thanks to all the participants for taking part in this years event! Extra thanks to all the HKWIHL players who helped out. See you all next year! It was a successful year with nearly 100 participants. Click here for info on IIHF World Girls' Ice Hockey Weekend for around the world. Click here for IIHF's write up "Building Foundation for Future" for World Girls' Ice Hockey Weekend in HONG KONG. WIHO Practice - 8:00 to 9:00 p.m.